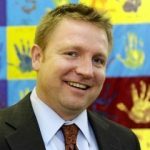 Click here for Part 1 Transforming the lives of children facing adversity Terry Hickey is the President and CEO of Big Brothers Big Sisters of the Greater Chesapeake. A local affiliate of the youth mentoring 501(c)(3) nonprofit organization Big Brothers Big Sisters of America, BBBSGC nurtures children in adverse circumstances by providing them with dedicated adult mentors in a one-to-one basis. Founded in 1904, BBBS enjoys an international reputation as a leading charitable organization today. When surveyed, 83% of former “Little” siblings agree that their relationships in the program instilled them with enduring, positive values. Adults interested in becoming mentors can sign up at biglittle.org. Terry Hickey spoke with Baltimore Sun reporter Sloane Brown for this interview. SLOANE BROWN: You had mentioned that there’s a very specific kind of mentoring program or platform, so tell me a little bit more about that. TERRY HICKEY: Right, so Big Brothers has been doing it the same way since 1901. It’s one-to-one. So, let’s say you’ve got Sloane the Big Sister—you’ve got a little sister, you apply, you’re screened, you’re interviewed, we do kinda this [the interview]. We get a sense of what you’re all about, where do you live, what do you want to get out of it? What are your perceptions of young people? We have people walking in that say “I want to mentor somebody this age, that’s left handed, likes baseball, eats tacos…” And we work with that but in the end— You really do or do you do a reality check? [Laughs] We try, we try. If you walk in and say, “Listen, I’m a vegan, I want a 16-year-old boy that doesn’t like video games and wants to be a vegan,” we’re going to tell you it might be a wait. We try to educate you on expectations. But it’s involved in the sense that you are going to be matched with one child. To some people that seems old-school—why not work with a group? Because the bonding and trusting relationship that builds over time—that’s when the needle starts to move. Otherwise, it tends to be a feel-good experience, but when it breaks up, you haven’t left lasting change. Safety’s huge. When you’re a “Big”—which is our word for mentor—so if you’re a Big you’re in the community with your Little. You can pick them up at home, take them to an Orioles game, go get an ice cream cone, hang out at the park, and drop them off at home at the end of the day. You can visit them at school. You can interact with their family. You can have the child over, with permission and proper guidance, at your house for dinner. So safety is the number one issue for us, right from the get go. Then, it’s compatibility. And then, we do these amazing matches where we go to the child’s house where they live and the Big comes with us, after all this screening. Is this for the first? Yes, so the mom, dad, everybody signed off—everybody’s good—we introduce them at the child’s home, and that starts the match. These meetings are amazing. We had an eight-year-old boy who had this big linebacker-looking guy—that this wonderful man who was going to be his Big Brother—and Mom had prepped him a bit, but he wanted to know where his big brother was going to stay. Because if he’s a “big brother” he must be moving in. This young man—this boy—had said, “I do not have a single male role model in my life.” That’s what got his mom to call us. So, it’s that process, and the real secret sauce is once you’re matched you have a 24/7 concierge in Big Brothers Big Sisters. You’ve got somebody assigned to you who—small caseloads, we have match support—and their job is to check in with you. They give somebody to call if things aren’t going right. We get a lot of those, two weeks in, “You know, my little brother… I don’t think he likes me.” Or, “it’s day one and he hasn’t opened up to me. What’s going on?” And so they’re there to train and hand-hold and keep the matches going, monitor safety, and that’s why our matches average over two years. Imagine an adult, in a life of a child, for two years or more focused on the well-being of that young person. It’s pretty magical.